Sammy is celebrating a birthday this weekend! To celebrate, Sammy is offering all of her products for an amazing 50% off from Saturday, February 23- Friday, February 29! Here is just a few of the great kits in Sammy's store! Please note that Sammy is on Australia time...and so is her sale. Shop early so you don't miss out! ...so now is the perfect time to pick up Sammy's new Spring Fresh collection! Spring Fresh Papers comes with 10 patterned and textured papers in fresh spring colors of green, turquoise, and pink. The coordinating Spring Fresh Element Pack comes with 32 gorgeous elements including fresh spring flowers, a torn journal, and more! Love them both? Then save time and money by picking up the Spring Fresh Complete Kit! Suitable for any layout, this versitile kit makes the perfect addition to add to your stash of digital scrapbooking supplies! Hurry on over to SDK and pick up this wonderful collection today! And while you're there, be sure to stop by our Specials section and check out all of the fabulous kits now available for up to 50% off! 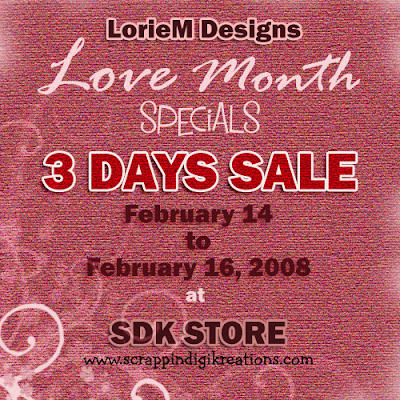 Lorie has added this beautiful quickpage set to the SDK store. This set coordinates with her Angel's Wish Kit and is available for 40% off this week. Be sure to stop by SDK and add this to your collection! Visit Cen's blog and pick up her love-filled This Much Paper Dolls Paper. And don't forget to leave Cen some hugs too! Stop by SDK and pick up Kim's Lovely Addon Kit. This kit of 12 shabby textured background papers and 29 elements coordinates with Kim's portion of this months Supa Digi Kit Freebie. 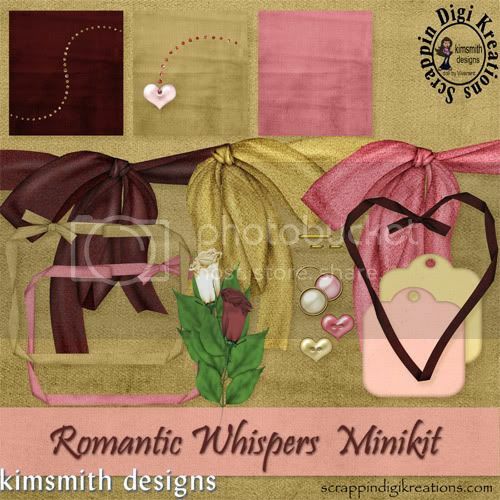 Kim has also put together this wonderful Romantic Whispers Minikit freebie for you. Just click on the previews to add these fabulous new products to your digital scrapping collection. Lovely Addon, Lovely Minikit, and Romantic Whispers Minikits will lend expressions of love and romance to all of your Valentine and special occasion layouts so be sure to pick up these wonderful kits today! 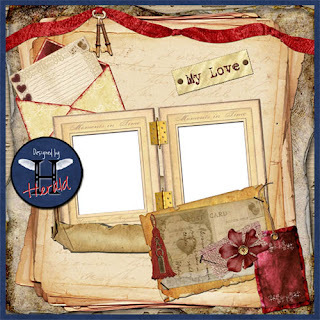 Herald has combined pieces of her Vintage Things and My Valentine kits to create this wonderful quickpage for you. Be sure to stop by for a visit and pick it up! With a whisper of spring and flowers to come, now's the time to pick up this bright and sunny Little Blossoms Mini Kit from Cen for those springtime layouts. Click on the preview to pick it up at the SDK store. This kit consists of 6 papers: 3 patterned and 3 plain and 16 elements including polaroid frames, knotted ribbon borders, and more. Want to pick up this great mini kit for free? Then, head on over to Cen's blog and participate in this week's Monday Challenge! 1. 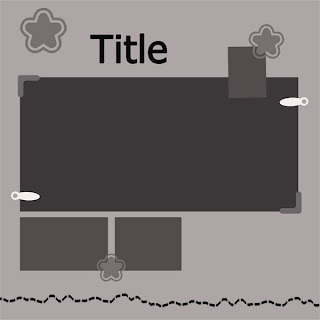 Make a layout using the following template. You can use any colours or kit you want. 2. Email the layout or a link to it to Cen at june.schutrups@btinternet.com by midnight, Sunday 24 February. 3. Please list credits for items you use in your layout. 4. When Cen receives your layout, she will send you a link to download the following Little Blossoms Page Kit free! Lorie has added another great new kit to the SDK store! A combination of soft pink, green, and brown shades makes Angel's Wish the perfect kit for all kinds of layouts. Angel's Wish Brag Book Collection includes nine 6 x 4 brag book layouts for a quick and easy layout in a snap. Be sure to stop by SDK and pick up this wonderful collection at 40% off this week. 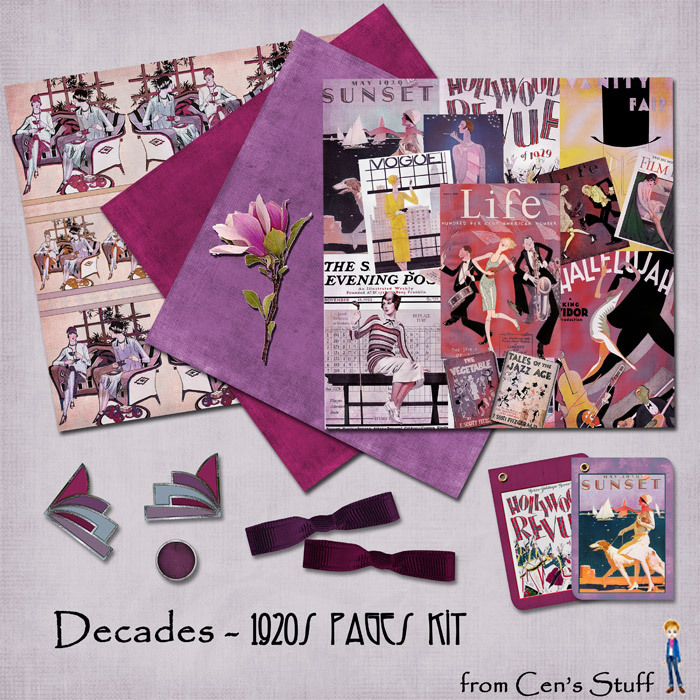 Cen is offering another addition of her Decades series on her blog! 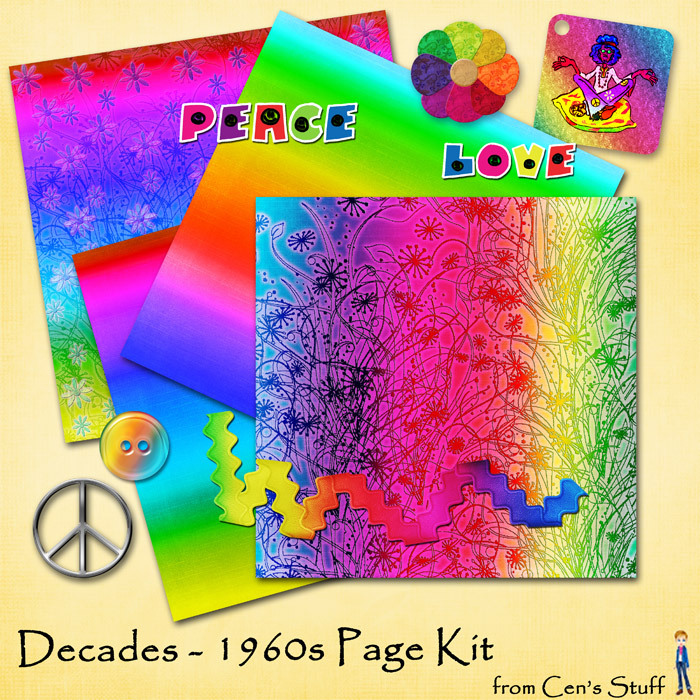 1960s combines papers in bold, psycadellic colors with elements of peace and love. Click on the preview to visit Cen's blog and pick up this groovy little freebie! Be sure to stop by SDK this week and pick up the newest additions to this month's Supa Digi Kit "Love Is In The Air". Kim's portion combines soft, romatic colors of pinks and creams with a touch of glittery accents for a touch of pizazz. 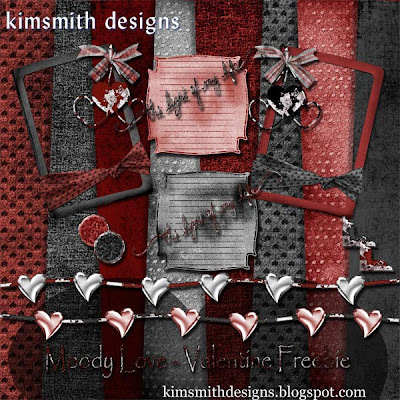 This page kit is perfect for Valentine's or other special occasion layouts. Lorie's portion contains a beautiful array of papers and elements in traditional Valentine colors of reds, pinks, and tans. The combination of stripes and plaids is sure to add depth and warmth to your Valentine layouts. Be sure to stop by SDK weekly to pick up future additions to this fabulous collaborative kit! Cen has another rockin' freebie for you on her blog! 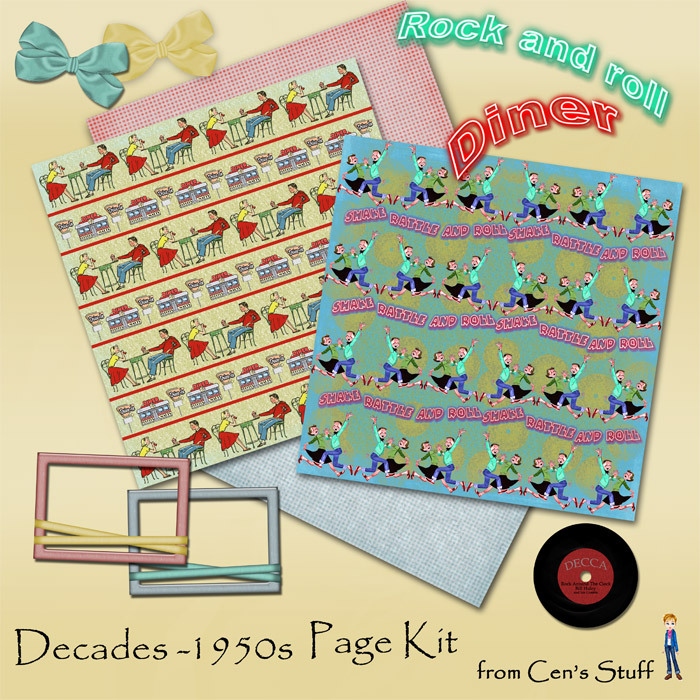 This 1950s Page Kit from her Decades series is perfect for adding some good old fashioned rock-n-roll nostalgia to any layout! Click on the preview to visit her blog! In a mad dash to finish your latest project? Make it fast with Gwenevere's Quicky Templates!!! Each Quicky Template comes in PSD and individual PNG formats, and include instructions for a fast and easy layout! Each template is available separately, simply click on any of the preview above and add them to your cart...or pick up the entire set of 4 quickies below. The last few snow storms of winter are at our doors and that means only one thing... Time to scrap all those snow bunny pictures!! This wonderful kit from Gwenevere in soft shades of blue, mauve and grey will make each of those layouts a snow-cute treat!! Blue Man Winter Paperpack includes 10 lovely, blended patterned papers and 5 sheets of solid-coloured cardstock. Blue Man Winter Element Pack includes 39 coordinating elements of flowers, snowmen, snowflakes, and much, much more. No time to create a layout from scratch? No problem! The Blue Man Winter Quicky Album is just what you need to create 4 beautiful 12 x 12 pages in a snap! You can find this and other fabulous collections from Gwenevere at the SDK store! Happy Scrappin'! Three new portions of Herald's Vintage Things collection are now available at SDK! Vintage Things Paper Pack contains a set of 20 aged and distressed papers in shades of gold and brown. Vintage Things Old Papers contains old, worn looking stamps, envelopes, and writing papers that coordinate with the rest of her Vintage Things collection. Pick them up at the SDK store while they are 40% off! And don't forget to pick up Herald's Vintage Things Alpha Pack...yours free just for visiting her store! This alpha pack contains 1 full set of letters with crocheted stitching. Great for adding just the right finishing touch to any layout. So what are you waiting for? Head on over to the SDK store and pick up the entire Vintage Things collection today! 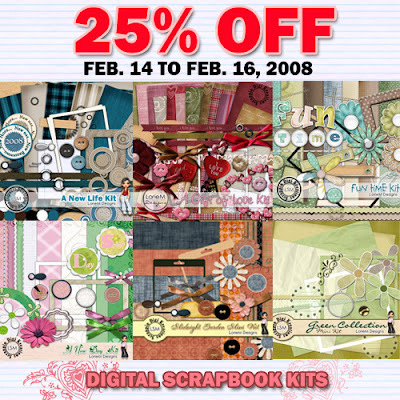 Stop by SDK between February 14-16 and stock up on some of Lorie's great kits and brag book sets at 20-25% off! Click here to go to Lorie's store. 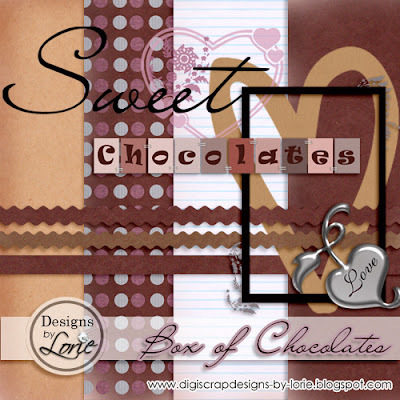 Visit Lorie's blog to pick up this sweet freebie "Box of Chocolates". Then, submit a layout using this mini kit (additional elements of your choice may be used) to receive this special Box of Chocolates Add On! E-mail your layout to Lorie at loriem.designs@gmail.com. Herald has put together this great little sampler for you from her Vintage Things collection. This sampler contains 1 vintage paper and 5 elements...yours free just for visiting Herald's store! 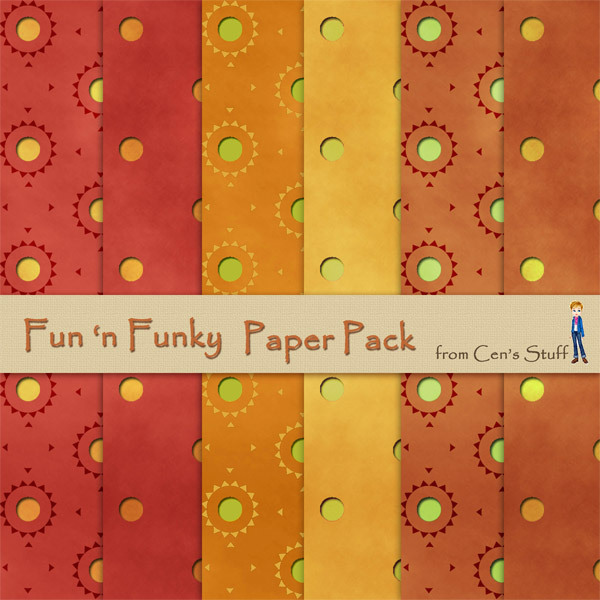 Be sure to stop by Cen's blog and join in on her Monday Challenge this week and get this Fun 'n Funky Paper Pack just for participating! 1. Make a layout containing a picture of something that inspires you, a person, place or thing. 2. Include some journaling which explains how you've been inspired. 3. Send an email with your layout or a link to me at june.schutrups@btinternet.com. Please include credits for any designers, fonts etc. 4. Have your entry in by midnight Sunday 16 February GMT. You can use any size of layout or colours/kit etc - the choice is yours! ...for love that is! Stop by her blog and pick up this great little "Moody Love Freebie"! Moody Love includes 8 grungy patterned and solid backgrounds and 14 coordinating elements. This little mini is sure to put you in the mood for scrapping! Click on the preview to visit Kim's blog! 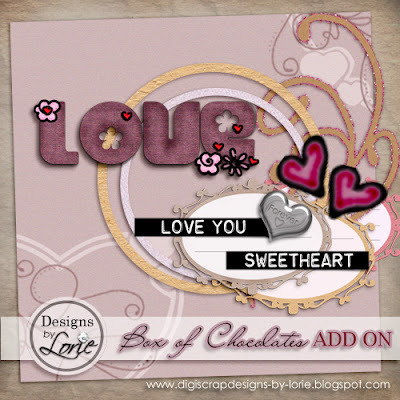 This beautiful quickpage kit from Lorie is now available at SDK! Gentle Moods Quickpage comes with two beautifully designed quickpages from her Gentle Moods Kit and two free wordart to help add a nice, finishing touch to any layout. Pick this great set up at SDK and, while you're there, don't forget to check out her Gentle Moods Kit! Check out this fabulous new collection from Herald! Vintage Things Books and Such contains 15 vintage books and albums with an aged, worn look to help bring back memories of days gone by. Vintage Things Frames contains 23 vintage style frames. Vintage Things Elements 1 contains 25 elements including an old slate chalkboard, postcard from 1907, and other vintage items. Vintage Things Elements 2 contains an aged Dutch advertisement, moonshine bottle, and more! Head on over to SDK and pick up this fabulous and unique collection for all of your heritage scrapping needs! Note: Background paper is used for preview purposes only and is not included. Stop by SDK and join in on this months Kreative Ad Challenge! 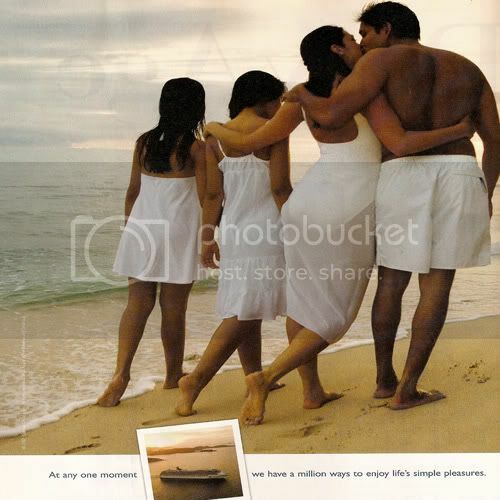 Kim has chosen the above ad to help inspire you - use your imagination and show us what love looks like to you! Here is a couple of "ad inspired" layouts from our members. We have several challenges going on during the month of February so be sure to stop by SDK's Kreative Challenges section, join in on one of our great challenges, and be ready to have lots of fun! Hope to see you there! Cen has another freebie available on her blog from her Decades series. Be sure to stop by for a visit and pick up her 1920s Page Kit! And while you're there, check out some of the great layouts created with her 1940s Page Kit!